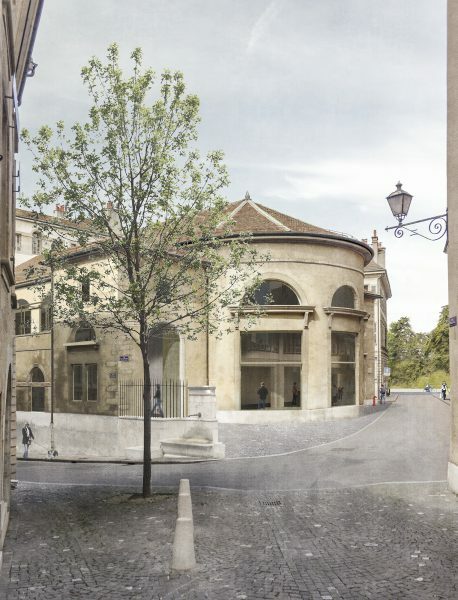 The Ancien Manège of Saint-Léger was built between 1828 and 1829 as a horse riding hall in the historic centre of Geneva. 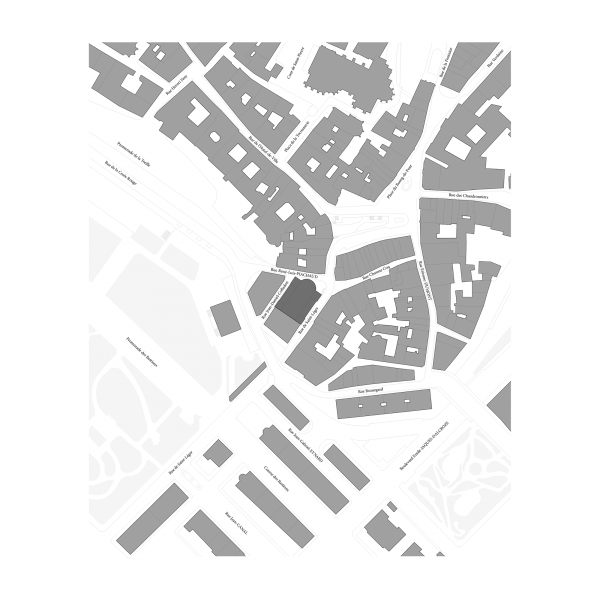 Following the increasing popularity of the car and the rejection of equestrian activities in the city centre, in 1930 is transformed into a garage and in 1950 into parking for vehicles. 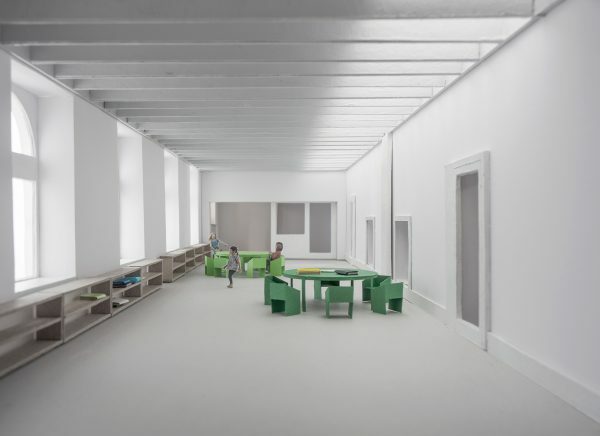 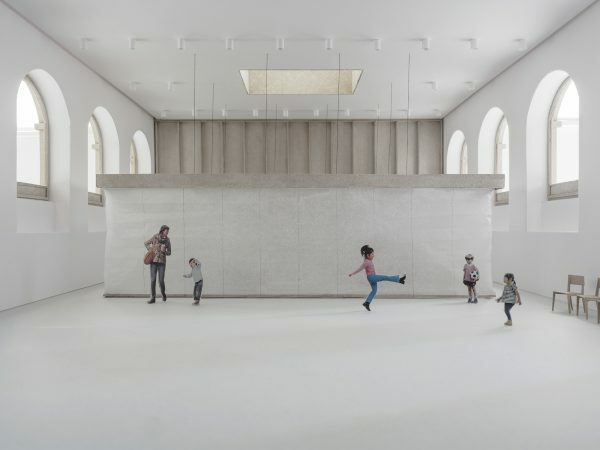 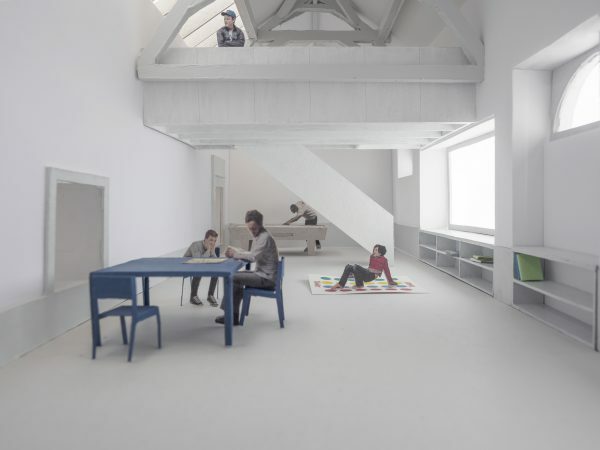 A new public programme for the building includes a creche, toy museum, school restaurant and maison quartier for the local neighbourhood. 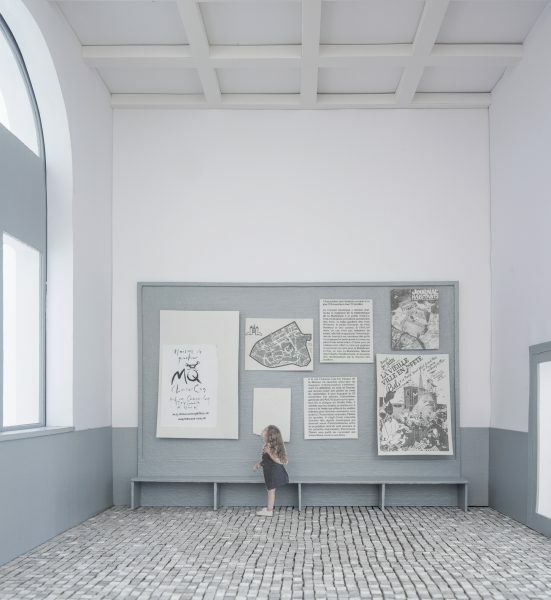 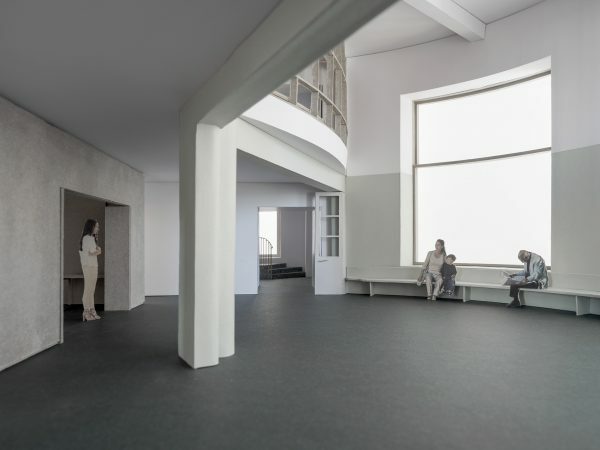 The point of departure of the project is the comprehension of the current spatial and construction configuration of the building as a result of an ongoing transformation and to assess its potential to become an inhabitable civic building with minimum intervention. 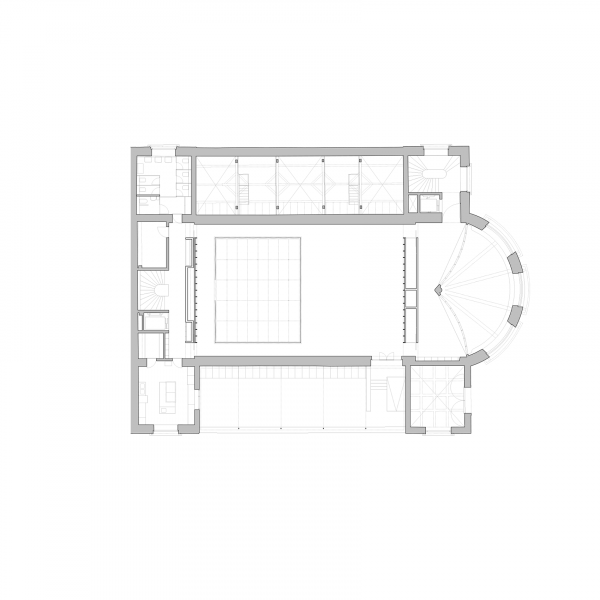 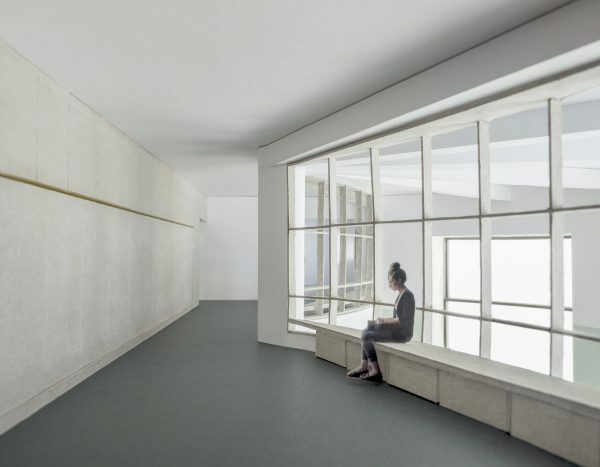 The project proposes the re-utilisation and adjustment of existing structures and construction elements combined with selected demolitions, punctual repairs and minimum additions with the intention of utilising the atmospheric, architectural and thermal qualities of the various parts that form the building. 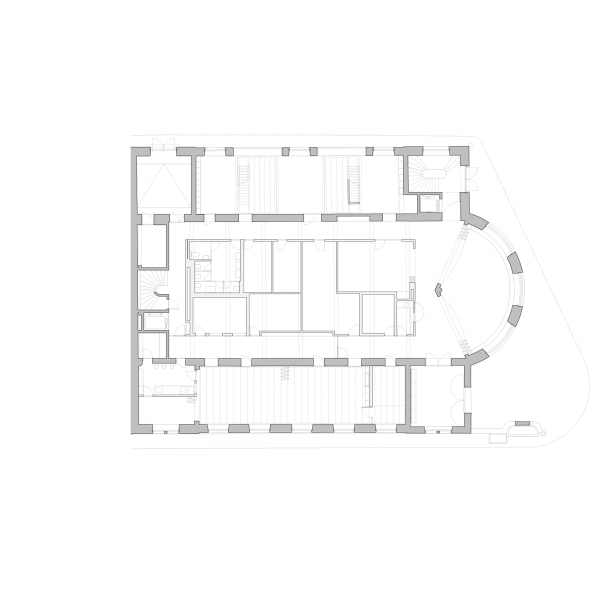 The project tries to make compatible the optimisation of the thermal envelope and the conservation of the heritage values of the building. 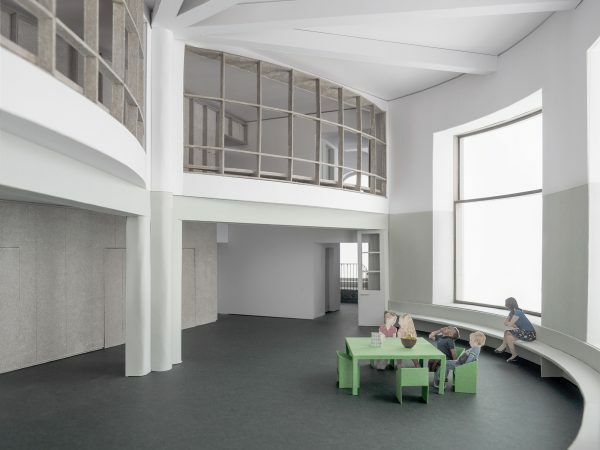 In order minimise the intervention in the existing timber structures, the existing ventilated lofts are preserved and concealed behind new suspended ceilings including thermal insulation. 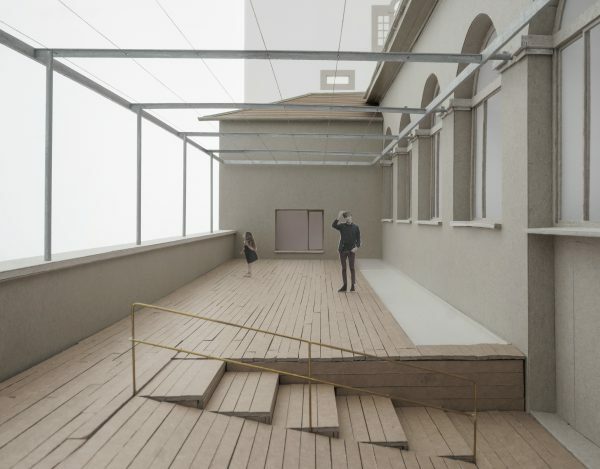 The character of the additions and the use of wood as the main material allows for possible future alterations to the way the building might be used, understanding the intervention as one further stage of the ongoing process of transformation the building has undergone.